I love pore strips. Not matter how many "issues" there are with using them, I don't think I could do without my weekly nose degunking. So whenever I see strips that I haven't tried, chances are they will be bought instantly. 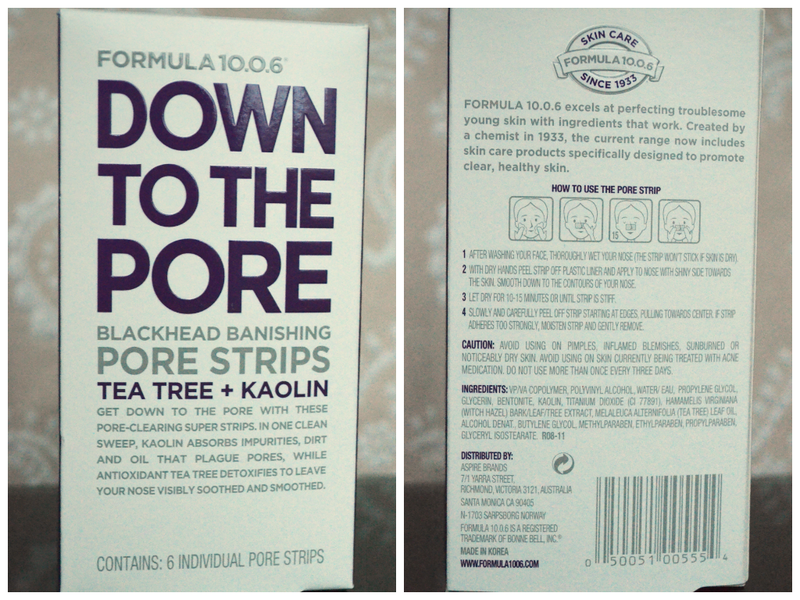 These Formula 10.0.6 Down to the Pore ones were from the recent Priceline sale. WARNING: Don't scroll to the bottom if you are squeamish of a close up of a used nose strip. 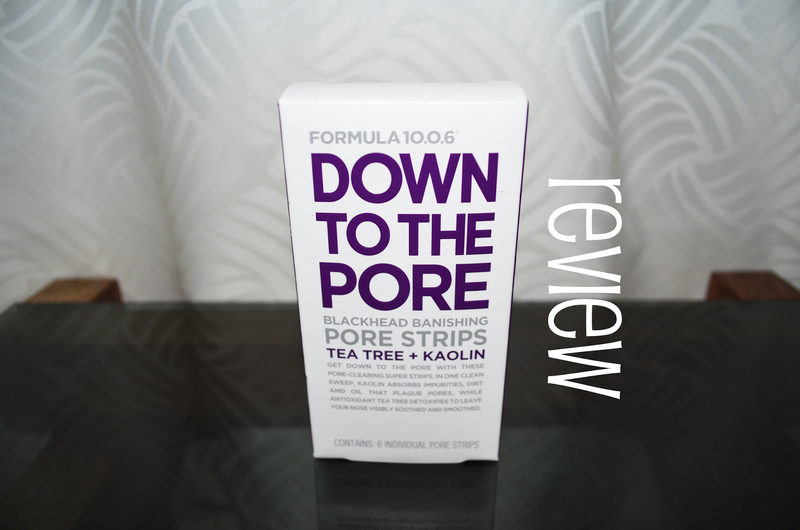 There are extra ingredients to help prevent blackheads etc. But considering that it would be a small amount for such a short exposure time, this was not really that important for me. Plus they're a little redundant since I use witch hazel as a toner on a regular basis. If you've used nose strips before, it's the same drill with these. Wet the nose, apply the strip and let it set till it's hardened. I was a little sceptical about these when I pulled them out of the pack. Usually strips without the slits don't sit on my nose as snug but these went on quite well. I had a little problem with the edges though. So here are the results. I was expecting to show you disgusting grossness. But it came out surprisingly clean. Definitely not a good thing. I felt my nose afterwards and there were bumps which means some of the gunk was pulled out half way or not at all. Yeah I was not impressed. This is usually one of the interesting things to look at but as you can see, there isn't much. And I could still see the gunk trapped in my nose, even some only pulled out half way. After a couple of days I could already see everything backed up again. I have used about half the box now and each time I've gotten the same results. I thought maybe I just have less to pull out? So I tried a Biore one. Nope there's heaps there just waiting to be yanked. Overall it's an ok product. Probably more suitable for people who don't have a lot to pull out of their nose. But I'd still opt for the Biore ones as I feel more stuff comes out with them.